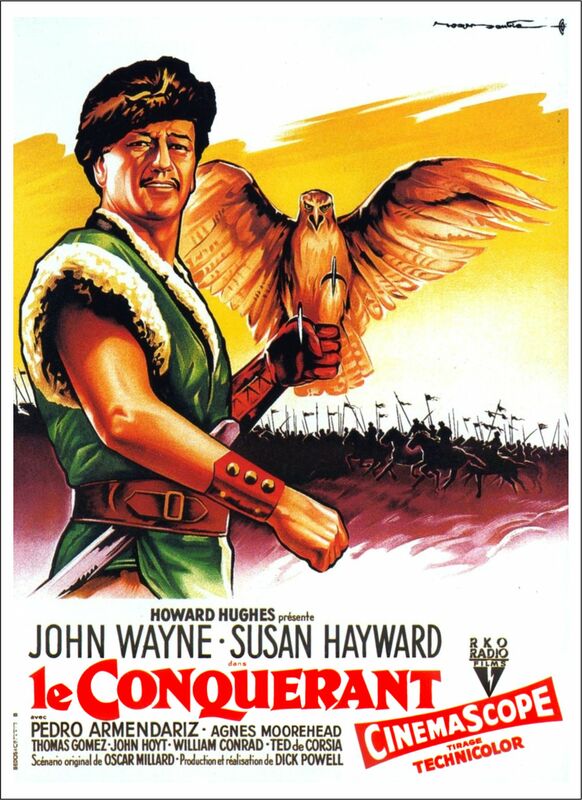 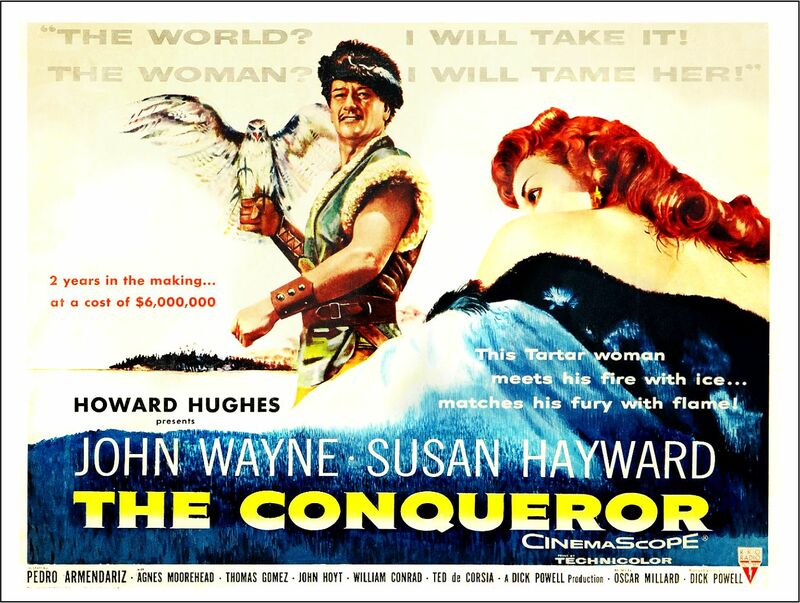 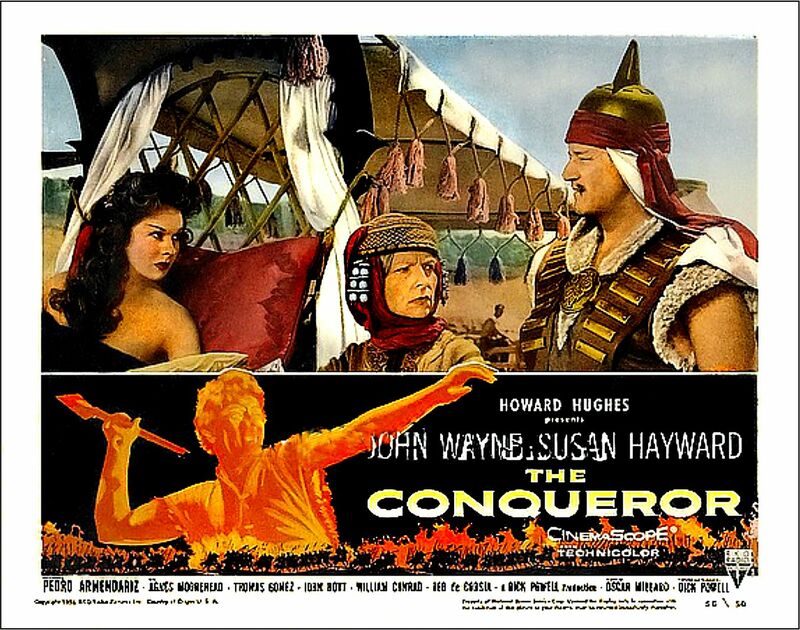 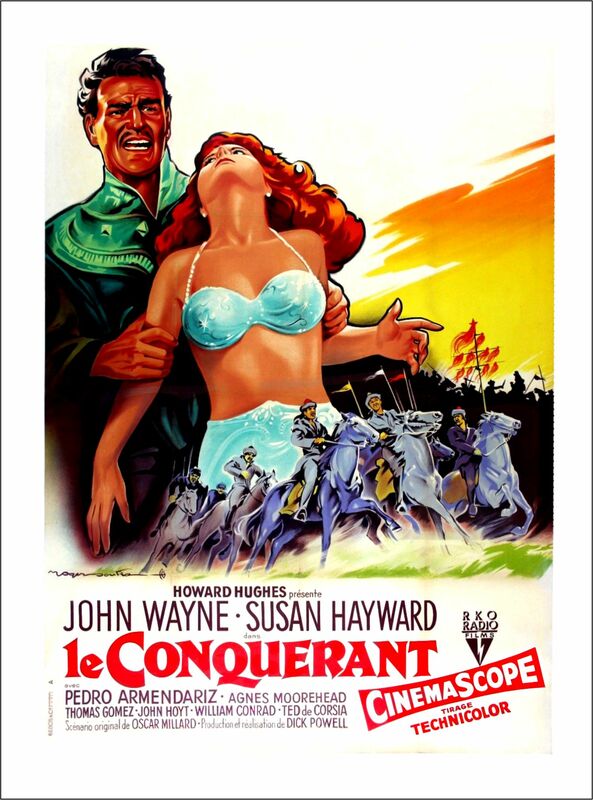 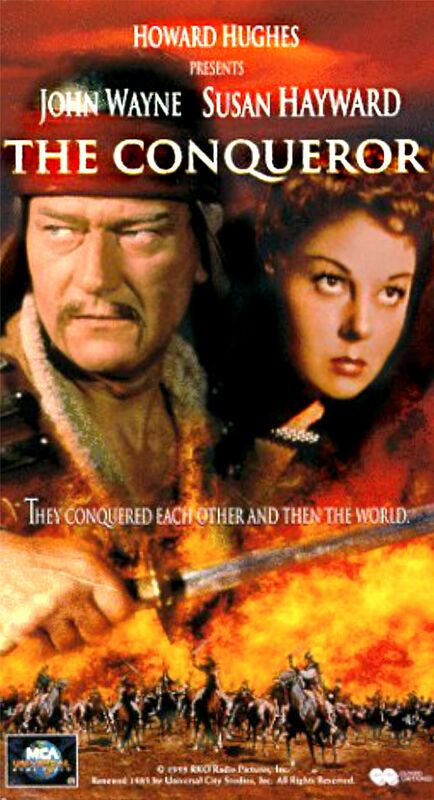 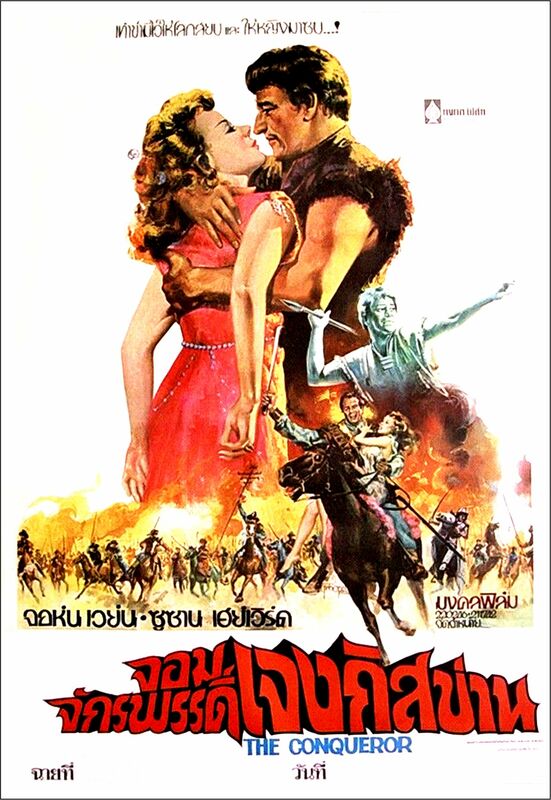 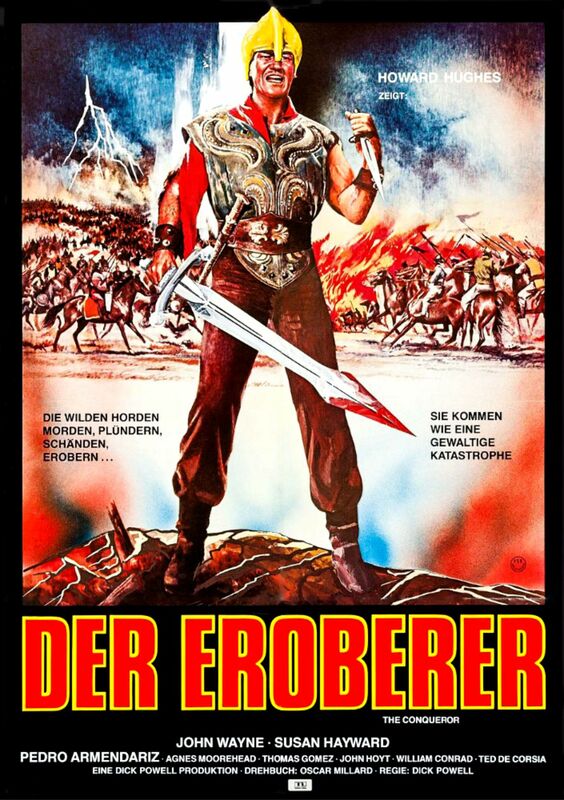 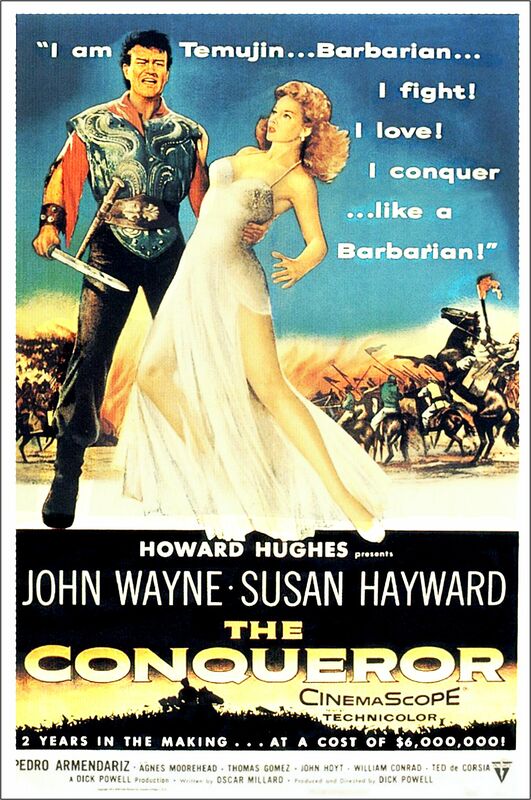 So … in 1956 John Wayne and Howard Hughes made The Conqueror. 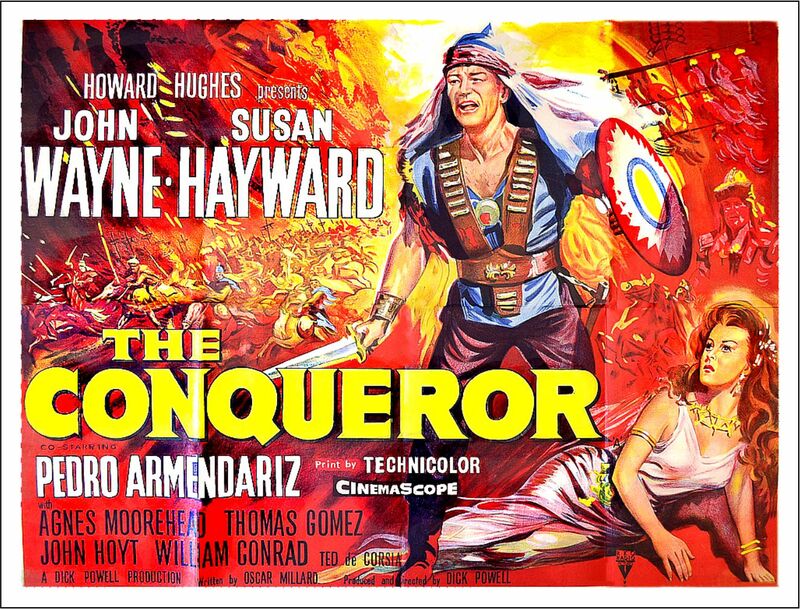 – a model of Hollywood big budget excesses. 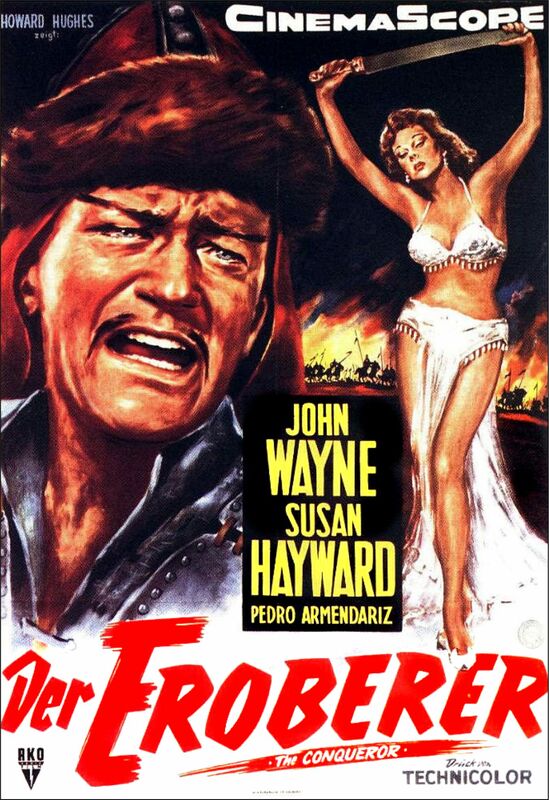 John deeply regretting his involvement in the film, and agreed that he had been badly miscast. 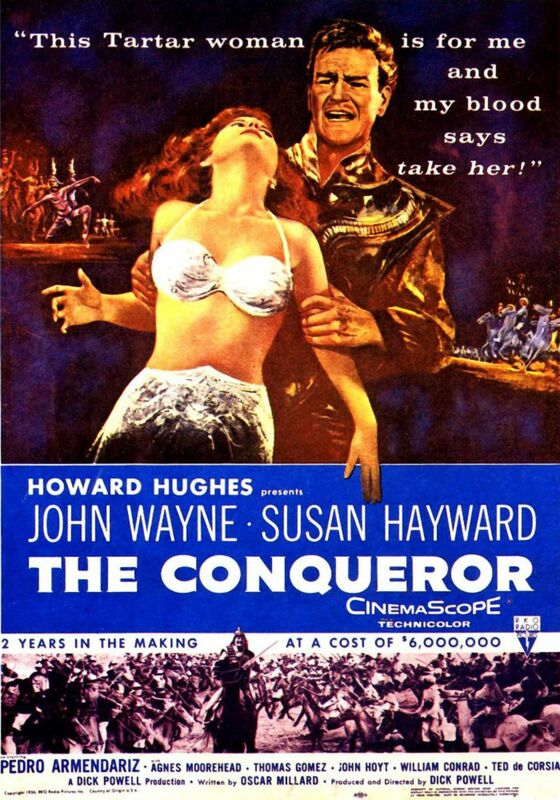 I have to wonder however, if a lot of the scorn showered upon the movie wasn’t an indirect attack upon John and Howard Hughes personally. 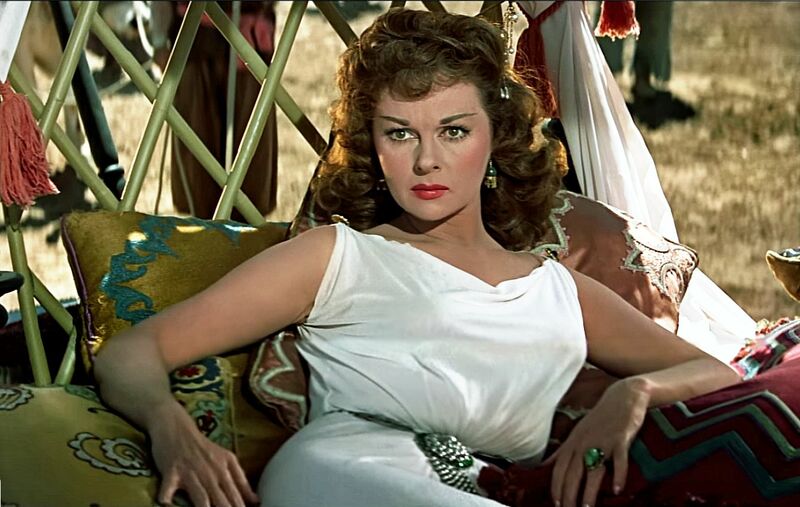 just waiting for a chance to knock them out or the saddle – or the sky.